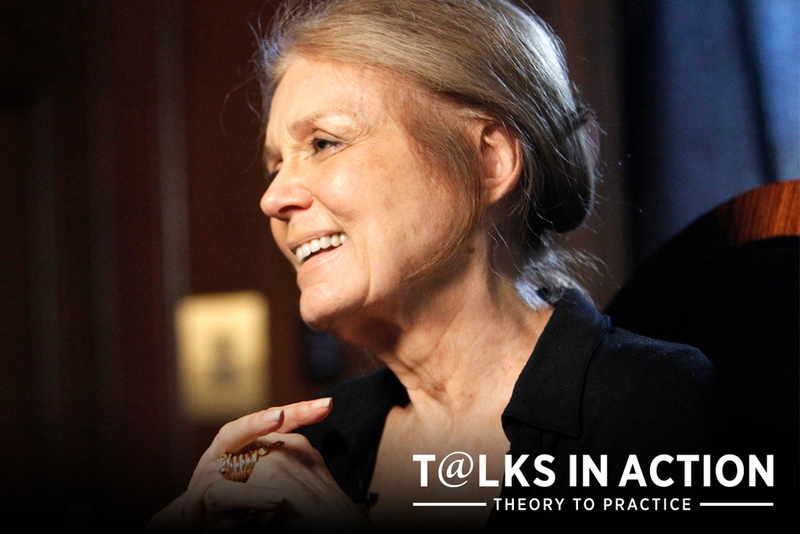 Since the 1960s, Gloria Steinem has blazed a trail of leadership across disciplines. An iconic writer, lecturer, political activist, and feminist organizer, she has empowered innumerable women and men to succeed. How has she done it? And what has she learned along the way? During a recent conversation with Dr. Jason Wingard, Dean of Columbia University’s School of Professional Studies, Steinem shared advice that has been key to her success and longevity as a leader. Listen. “The most important quality for being a mentor (or a mentee) is to listen, because you let someone know they have something to say.” In Steinem’s view, in order to develop positive qualities in other people you have to find out their particular needs. In order to do that, you have to ask them questions and pay close attention. Meet with a small, steady group of people involved in the same endeavor. No matter how many resources we have, they can be hard to seize on our own. “We are communal animals,” says Steinem. “When we are alone, we start to feel wrong or cast aside.” But, “if the same thing is happening to different, unique human beings, you realize it’s political and you can do something about it.” Those setting out in the same field should meet “at least once a week” at a restaurant, coffee shop, or in their homes for community, support, and edification. Watch Steinem’s interview with Dr. Wingard to hear the rest of her wisdom and learn more about Columbia’s School of Professional Studies.